HavocOS Pie updated with Font Picker, new features to Clock app & more - AndroGuider | One Stop For The Techy You! 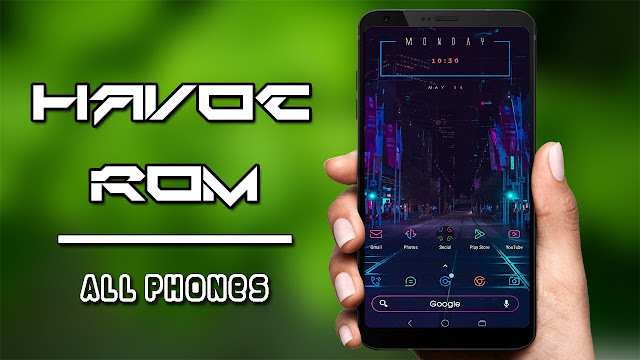 We have been covering HavocOS a lot these days and that's because the ROM is being updated every few days. Each update brings with it new features, improvements and fixes. We aren't talking about one or two feature additions here but plenty. A new update of HavocOS was released earlier today, and it adds over 10 new features along with the usual bug fixes and improvements. The changelog is given below. The update is currently available for the OnePlus 3/3T and the Mi 5. The maintainers of other supported devices will release the updated builds in the coming days. The download builds can be found here. For the device-specific changelog, you can check out the Telegram channel of HavocOS. If you like HavocOS, you can donate to the team using PayPal or by transferring funds to the UPI '[email protected]'.